To be honest, I rather balked at yet another superhero being ‘reinvented’. 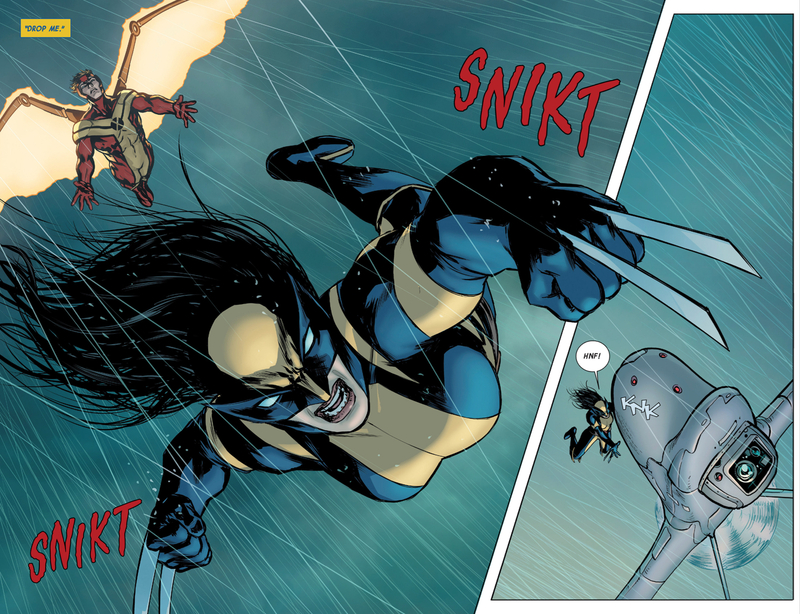 Already, Marvel has given us a female Thor and so it seemed cliched to now come up with a distaff Wolverine. 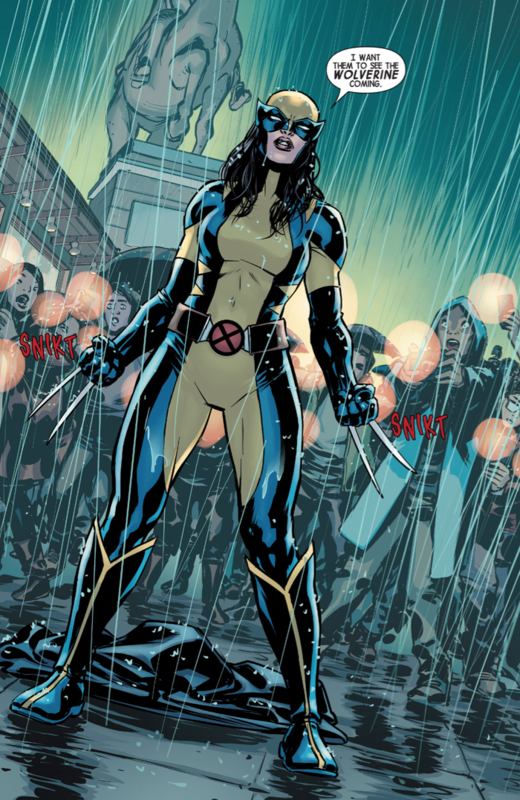 As you know Logan is dead – though the Old Man Logan version turned up in a X-Men comic recently – and so his clone X23 (Laura Kinney) takes up his mantle, in his original yellow and blue costume. However, even without knowing a single thing about this Laura Kinney, I found myself liking the book, despite my reservations. Also, pairing her up with Angel (who apparently is her beau – bloody Warren Worthington III cannot resist any X-tail, can he?) was a masterstroke as he plays the lovestruck, protective boyfriend throughout the story. Ironic when you consider that Kinney is virtually indestructible. But the story ends with a strong quest for our protagonist to pursue for the foreseeable future. Artwork is serviceable enough (from David Lopez & David Navarrot) but it’s Tom Taylor’s precise writing that has made this skeptic intrigued.